Abbotsford lawyer John Conroy is undertaking a legal battle against new changes to the federal government’s medical marijuana program. 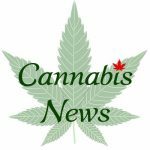 On Monday, Health Minister Leona Aglukkaq announced some of the anticipated changes to the program, which includes banning individual home-based medicinal grow-ops in favour of larger government licenced producers. The new regulations mean sick or disabled people or their legal proxies with licences will no long be able to grow their own marijuana, said Conroy. The price of marijuana from the large producers will cost people up to four times as much as producing their own, said Conroy. The government estimates under the new program medical pot will be sold for $8 to $10 a gram while individuals grew their own for between $1 to $4, said Conroy. The price increase will limit some sick individuals, many on a low income, from being able to buy marijuana for their conditions. There is legal precedent that individuals with medical conditions with a doctor’s authorization have a Constitutional right to reasonable access to medical marijuana, said Conroy. Under the old program, those that couldn’t afford dispensary or black market prices grew their own marijuana, something they won’t be able to do in the future. Conroy expects to launch a Constitutional challenge on behalf of a coalition of medical marijuana users fighting the problematic aspects of the proposed regulations. “Basically, we’re saying these people’s constitutional rights are being impaired by what’s being proposed,” said Conroy. The group, MMAR DPL/ PPL Coalition Against Repeal, says it has 3,400 members across Canada. Conroy said his firm has collected 1,000 victim impact statements so far. The lawsuit aims to prevent some or all of the new regulations from coming into force, or to maintain the status quo until there’s some guarantee that all patients have reasonable access to medical marijuana. Failing that, Conroy may also take up a class action lawsuit to compensate individuals who have invested resources and borne the costs of growing their own pot over the last decade. On Monday, Aglukkaq agreed there must be reasonable access to legal marijuana for medical purposes. But the government believes it must be done in a controlled manner to protect public safety, she said. Since starting in 2001, the government’s medical marijuana program has grown exponentially, from less than 500 authorized persons to over 30,000 currently. The rapid growth of those producing medical marijuana, often in private homes, had consequences for public health and safety, said Aglukkaq. “These changes will strengthen the safety of Canadian communities, while making sure patients can access what they need to treat serious illnesses,” she said. Municipal fire and bylaw authorities have long argued that home-based medical marijuana grows can pose fire safety problems or health problems due to mold. Police point to the dangers of grow rips and the lack of enforcement to ensure licensed growers aren’t producing more than they need for the illegal market. Under the new provisions, patients will have access to quality-controlled marijuana produced under sanitary conditions, said the minister. But Conroy noted that individuals that grew or developed specific strains of marijuana for their particular medical conditions will be out of luck. Litigation will get underway sometime after September and before March 2014 when the new regulations go into effect, he said. The details on the federal government’s new Marihuana for Medical Purposes Regulations come out June 19. 38 queries in 1.531 seconds.